Saturday 2nd December 2017 – Was a judge for the Christmas themed shop window competition in Alford. Thursday 7th December 2017 – Attended the official opening of the new spray booths and ovens at The Body Shop on Grantham Drive. Thursday 7th December 2017 – Attended and did a reading at the Carol Concert for Hogsthorpe Primary School and Skegness Grammar School which was held at St Matthews Church and organised by the David Ross Education Trust. Friday 8th December 2017 – Was invited to a fundraiser for "Cycling Without Age". Friday 8th December 2017 – The Deputy Mayor, Councillor Sid Dennis attended the Cobra Ju-Jitsu presentation evening where he presented certificates and belts. Friday 8th December 2017 - Attended the Skegness Swimming Club end of year presentation evening held at Yates Bar where he presented awards to the swimmers. 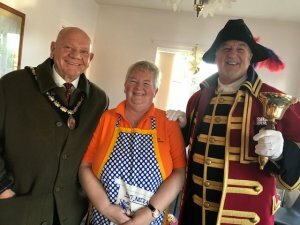 Saturday 9th December 2017 – Was invited to look around the Skegness Victorian Christmas Market. 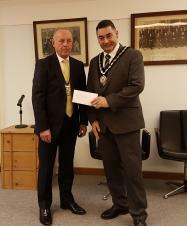 Saturday 9th December 2017 – The Deputy Mayor, Councillor Sid Dennis attended the Rotary Club of Skegness Christmas Concert at St Matthews Church. 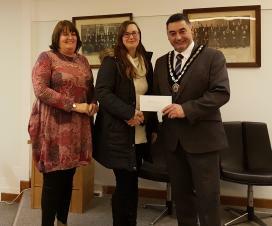 Sunday 10th December 2017 – Started the Rotary Club Santa Fun Run from the Lifeboat Station and handed out the medals at the end to everyone who took part. Sunday 10th December 2017 – Attended the Lisa Jay Stage Institute presentation event held at Skegness Secondary Academy Theatre. Thursday 14th December 2017 – Attended the Skegness Junior Academy Christmas Fair. 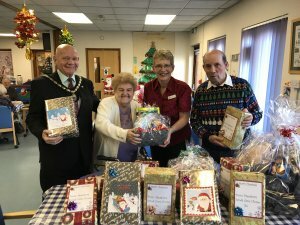 Friday 15th December 2017 – The Deputy Mayor, Councillor Sid Dennis attended Skegness Day Centre's Christmas Lunch. Friday 15th December 2017 – Watched the opening night of Aladdin Pantomime Spectacular at the Embassy Theatre. Monday 18th December 2017 – The Deputy Mayor, Councillor Sid Dennis attended the Philip Grove Community Centre Christmas Lunch. 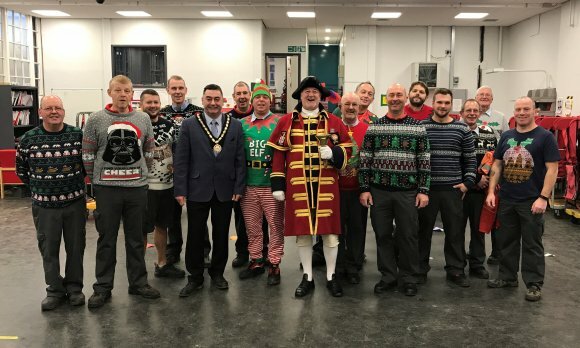 Tuesday 19th December 2017 – Attended the Royal Mail Sorting Office Christmas Jumper Day, a fundraising event where the proceeds are going to the Mayor's Charity.